Remodelling your kitchen with IKEA kitchen cabinets is a popular choice for many people. IKEA has a reputation for providing budget-friendly cabinets that don’t skimp on quality. Not only that, they offer products in a range of styles designed to suit both small and large kitchens alike. From cabinetry to appliances, countertops to sinks, it’s possible to remodel your kitchen entirely with IKEA products. If you’re brave enough to go it alone, you’ll quickly discover that designing and remodelling your kitchen is pretty daunting. If you’re dead-set on doing things yourself, here are some of our key tips to make the process easier. Before you start anything, you’ll need to accurately measure your kitchen. Customers who choose to have us design their IKEA kitchen often tell us that this is one of the biggest stumbling blocks to the whole process. That’s why we made this simple video for them to follow, making measurement much easier. IKEA also have resources available, so you’ll want to check out both. The golden rule? Be exact. Ensure your cabinets and appliances fit the space available. Mistakes at this stage will prove costly! You might find yourself purchasing the wrong cabinets. Once you’ve measured your kitchen accurately, picture what your kitchen will look like. You can find inspiration online (think Pinterest and Houzz, for starters) and by visiting your local IKEA. Remember: the kitchens you see in the showroom are typically a different size than the one in your home. IKEA’s designers and store staff have way more freedom than the average American homeowner. Try to visualize how the windows and doorways will affect your design choices. For example, you might end up preparing food in the darkest corner of your kitchen just because the countertop looked good against the back wall in the store. Try to identify the areas in your kitchen where appliances and cabinets can be grouped together. (You might find paper and pencil are the best way to do this, for you visual learners) Lots of factors will influence this! For example, you’ll want your dishwasher placed next to the sink, to ensure easy connection to water pipes. Also, you’ll want your cooking items within easy reach of where you will prepare food. This isn’t something to rush. Professional kitchen designers like the team at IKD think long and hard about designing a kitchen that really works for each, unique customer. If you need help figuring out what should go where, let us lend you a helping hand. IKEA cabinets come in a range of standard sizes and have a good selection of internal organizers and options such as adjustable shelves or pull-out drawers. We always recommend the drawer dampeners because they improve the way the drawer closes, reducing the wear and tear on your cabinet as well as keeping the noise down! Although the dampeners are an extra cost, the benefit is worth the extra outlay. Choosing the right base cabinet takes careful consideration. Some cabinets will be easy to select, like your sink cabinet, corner units or cooktop cabinet. But choosing the right type of base cabinet for your kitchen means that you need to decide what objects go where and how you want to access them. IKEA’s base cabinets are available as 15” deep and 24” deep. The 24” deep size is standard, whilst the 15” depth is for narrow areas. IKEA’s ovens, like the majority of ovens, are designed for a 24” depth kitchen. Make sure you check the required cabinet depth for your existing model if you’re not upgrading. This is one of the traps newbies fall into when going it alone. There are always those little things you can forget! IKEA wall cabinets are 15” deep, and whilst you can choose from a wide range of cabinet door fronts, there aren’t many options for how you organize them inside. Basically, it’s shelves! If you’re upgrading from an earlier IKEA kitchen, you’ll notice that IKEA cabinets are now frameless. Previously, they were framed. Frameless cabinets have 10% more storage per linear foot than framed cabinets, allowing pullouts and drawers to make use of the full width of the cabinet. It’s important to remember this if you plan to keep existing cabinets from an earlier IKEA kitchen alongside new cabinets. The door sizes may fit but you’ll struggle if you are looking to upgrade old, damaged drawers. IKEA offers a range of cabinet legs and toe kicks. Cleaning under a 24” deep base cabinet can be a real pain, so you might want to opt for a toe kick. On the other hand, exposed legs give your cabinets (and your whole kitchen) a lighter, more modern appearance. It all comes down to personal choice, environment, and how you use your kitchen. The Home Planner can give you a sense of how these details will look. If you’re really not sure, however, you’ll want to seek the advice of a professional IKEA kitchen designer like our team at IKD. Hopefully these tips and tricks will help you design your kitchen. All that’s left is for you to bring it all together in the IKEA Home Planner. That is, if you can figure out how to use it! It’s not rocket science – if you’ve successfully done it 20 times before! However, a lot of our customers struggle with it. That’s why they turn to us, once they’ve figured out the styling options that are right for them. It’s not just our customers that complain about the Home Planner, there are hundreds of complaints over on Houzz by frustrated homeowners, trying to remodel their kitchen. How Thick is that SEKTION Cover Panel in the Showroom? I do hope that cover panel’s for sale..
No IKEA kitchen design is complete without cover panels. 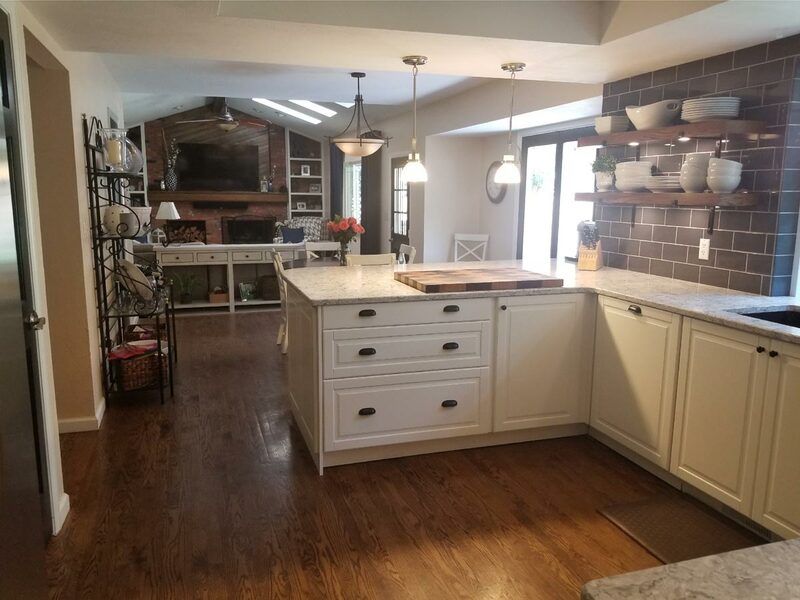 Like Ana wrote in this post, cover panels can do everything from supporting countertops to creating custom cabinets and islands for our customers. These extra pieces match the finish of your IKEA cabinet doors. 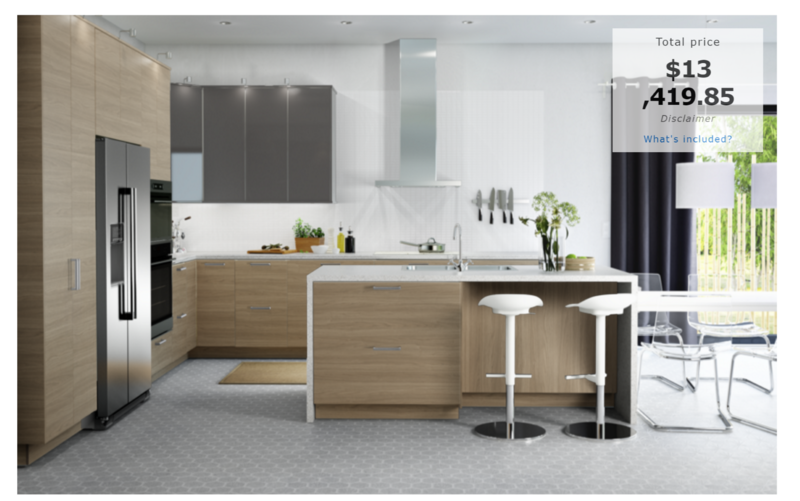 IKEA’s new kitchen line, SEKTION, offers matching cover panels just like AKURUM did with their PERFEKT panels. We discovered something about the SEKTION cover panels that you simply must know before you start designing your IKEA kitchen. And, we hate to call people out, but – even sales associates in the IKEA kitchen showroom didn’t know this for sure!